Lighthouse Brewing has a new ad campaign. Some would argue that it is merely the same thing as one would expect from the big guys, but the great thing about a democracy is that we all are free to decide and judge it for ourselves. Lighthouse Brewing Company is a “Quality First” progressive thinking microbrewery producing all natural distinct beers. Lighthouse Brewery began its brewing tradition in 1998 when the first kegs of Race Rocks Amber were rolled out to the Victoria area pubs and restaurants. In 2004 we introduced our products in 355ml aluminum cans and today select brews are also available is 355ml bottles. We brew our beer in a custom designed brewery that can produce the highest of quality and at the same time fulfill our commitment to sustainable environmental brewing practices. We recycle all of our byproducts for the benefit of local organic farmers. 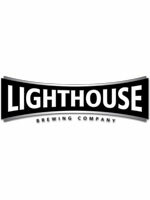 Lighthouse brewery is a locally Canadian owned brewery. Please comment, we would love to hear your thoughts on the ad.